Robert is an A-list Specialist Regulatory Advocate and acts for the prosecution and defence in many areas of regulatory & disciplinary law. He is an approved advocate on the list of Specialist Regulatory Advocates in Health & Safety and Environmental Law. 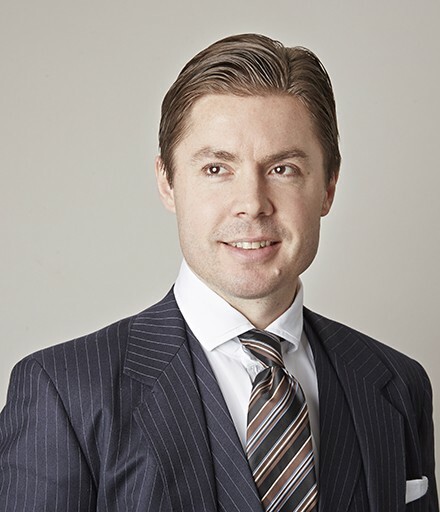 Robert acts for the prosecution and defence in many areas of regulatory & disciplinary law. He is an approved advocate on the list of Specialist Regulatory Advocates in Health & Safety and Environmental Law. His regulatory practice includes Health & Safety, Sports Law, Trading Standards, Environmental, Road Traffic, Licensing, Food Safety cases and many more. Robert has extensive experience of Health and Safety cases, often involving fatalities or serious injury. He is also regularly instructed to appear before the Coroner’s Court in relation to inquests into death on behalf of HSE or other interested parties. He has conducted many environmental cases, including allegations involving the operation of regulated facilities without an environmental permit; keeping/treating controlled waste without a waste management licence; and other waste management offences. He has also conducted a number of water pollution cases, including the disposal of diesel and other noxious substances into the waterways. Robert has conducted numerous appeals against both conviction and sentence in the Court of Appeal and has also appeared in the High Court in a case stated appeals. As a former semi-professional footballer, Robert has an excellent understanding of all rules and regulations issued by FIFA and the Football Association. He has a keen interest in many sports which makes him the perfect choice for all types of sporting disciplinary cases. Robert also conducts appeals, and provides advice upon appeals, against Licensing Committee decisions. Robert has sound judgment and is known for his honest and straightforward advice. He is a robust and effective advocate with a calm and pleasant manner. Inquest into the death of Simon Hogg (2019): Instructed by HSE to appear at this 4 day Inquest into the death of a worker at Stonegrave Aggregates Ltd. The accident occurred at Aycliffe Quarry waste recycling site in 2015 when an attempt was made to free a blockage from a 2trommell machine. NYTS -v- B & M Retail Limited (2018): instructed on behalf of the defence for this company with a multi-million pound turnover charged with manufacturing and importing defective glideboards, contrary to the Supply of Machinery (Safety) Regulations 2008. The glideboards were manufactured in China and contained defective parts which led to some examples of overheating and even fires, which attracted significant media attention. The case involved consideration of EU standards/directives and documentation from China, Germany and other countries where companies had been involved in the initial testing/approval of the product. HSE -v- RK Civil Engineers and RK District Heating (2018) – instructed on behalf of the prosecution in relation to two companies charged with failing to ensure the safety of an employee who died at E.On’s Renewable Energy Plant in Sheffield after suffering devastating crush injuries from an 840kg pipe which fell on him. The companies were each convicted after trial and fined £1million each. HSE -v- Treanor Pujol Ltd / Inquest into the death of Matthew Fulleylove (2018): instructed by HSE to appear at this five-day inquest into the death of Mr Fulleylove who died from head injuries suffered whilst at work. HSE -v- Caldery’s Limited (2018): this case was heard at Leeds Crown Court, involving charges under the Control of Vibration at Work Regulations 2005 and Control of Substances Hazardous to Health Regulations 2002. Employees were exposed to risks associated with vibration tools (Hand-Arm-Vibration Syndrome) and Respirable Crystalline Silica. HSE -v- Fishgate Limited (2017): trial at Lincoln Crown Court in relation to charges of failing to ensure the safety of an employee who was carrying out work at height and who suffered a potentially fatal fall from height, receiving significant injuries as a result of the defendant’s negligence. The defendant was convicted, fined £100k and ordered to pay the prosecution costs. HSE -v- Redhall Engineering Services (2018): instructed on behalf of this company who faced allegations of failing to ensure the safety of two employees who received significant injuries whilst carrying out the decommissioning of gas cylinders. HSE training: Robert assists in training HSE Inspectors for their presentation of cases before the Magistrates’ Court and the giving of evidence in other cases. DVLA and WYTS -v- Harrison and Harrison (2018): instructed on behalf of both defendants who were prosecuted by DVLA and WYTS for the defendants’ alleged significant breaches of s.17, 24 and 25 of the Vehicle Crime Act 2001 and numerous trademark offences, said to have been committed during the course running two businesses, one of which supplied registration plates in a shop and the other which supplied custom number plates online. Robert secured absolute discharges for each defendant, following their acquittal of nearly all charges. EA -v- JJCE Ltd (2018): defendant charged with disposing waste in ponds causing a risk to the welfare of wildlife. EA -v- JR (2017): defendant charged with operating a regulated facility without a permit, acquiring end of life vehicles and storing or disposing of tyres/waste in an unsafe manner, including disposal by burning. EA -v- W (2017): defendant charged with running a waste management facility without a permit acquiring a large volume of scrap vehicles and dismantling them in an unsafe and illegal manner. NYTS -v- Kerr (2018): defendant charged with a large amount of offences to do with the sale of counterfeit clothing and jewellery being sold in his shop. NYTS -v- Morgan (2017): defendant charged with a large amount of offences to do with the sale of counterfeit clothing and footwear being sold mainly over the internet. WYTS -v- Briggs and Briggs (2018): Proceeds of Crime Act application made against two defendants convicted of supplying counterfeit handbags being sold on their market stall, involving an application for the confiscation of hundreds of thousands of pounds. HSE -v- Sonocco Cores & Paper Ltd (2017): defendant with a turnover in excess of £35million, employing over 19,000 employees in over 300 sites across the world, alleged to have failed to safeguard its employees one of whom suffered severe crush injuries to his hand resulting in the loss of three fingers. HSE –v– Allen & Hunt Engineers Ltd (2016): defendant charged with breaching health and safety requirements by failing to put in place any proper safety precautions resulting in an employee falling over six metres from a barn roof and suffering life-changing injuries in the process. Robert Stevenson may accept Public Access work, where he can be instructed directly by a member of the public rather than a solicitor. Robert Stevenson prosecutes company for failure to protect its employees against the risks associated with hazardous substances and vibrating pneumatic tools. Instructed by the Health & Safety Executive, last week, Robert Stevenson secured the conviction of two companies for breaching health and safety regulations resulting in the death of a 36-year-old worker, Mr. David Beresford. Craig Hassall & Robert Stevenson receive certificates of commendation from The Home Office in relation to their recent case named ‘Operation Apple’.